Graduated with full marks and honors from the University of Naples, with a paper involving extensive research on the European Space Agency (ESA). Post-graduate course in Shipping and Insurance Law in 1989 at the City of London Polytechnic. For many years lecturer in Maritime Law at the University of Venice Ca’ Foscari. Claudio’s main areas of practice are commodities, marine cargo and goods in transit claims (charterparties, bills of lading, CMR and multimodal transports, GAFTA, FOSFA and Incograin contracts) and related insurance disputes in both court and arbitration proceedings. 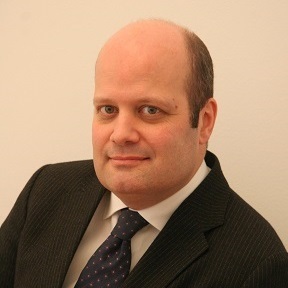 Fluent in English and French, he assists some among the major traders, marine insurers, carriers and freight forwarders in Italy and Europe, and has represented clients in court proceedings and arbitrations in several jurisdictions; he is an accomplished and well-known lecturer, both nationally and internationally, on the legal aspects of shipping and trading. Claudio is the author of two widely used handbooks on cargo insurance and international sale of soft commodities, he is a regular contributor of Il Diritto Marittimo and is member of the Editorial Board of Diritto e Trasporti and Marine Aviation & Transport Insurance Review, and IUMI (International Union of Marine Insurance) Professional Partner for Italy.